Author, publisher, educator, Barbara Techel speaks with Lynn Serafinn about a lucrative avenue for public speaking and book sales that is not always explored by authors. Authors are always looking for new ways to promote their books. While I specialise in online promotions, there is certainly a need for authors to know how to promote and sell their books “in person” to their potential readers. In the past, many authors have depended upon book signings at book shops, but in this day and age, with millions of new books coming onto the market every year (Google estimates there are 130 million unique titles currently in publication, and others say even this figure it’s far too low), it’s getting harder and harder for authors to get their books into bookshops. So are there any unexplored avenues for book sales authors many not yet be exploring? Author, publisher, educator, Barbara Techel thinks so. Barbara is the author of several children’s books including the award-winning Frankie, the Walk and Roll Dog, which is based upon the life of her dog, Frankie, who moves about in a doggie wheelchair owing to having contracted disc disease that caused paralysis. Since 2007 Barbara and Frankie (who is in a doggie wheelchair) have shared their positive and inspiring messages with thousands of children and adults at schools and libraries around the United States. 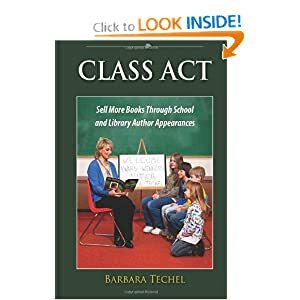 Having had wonderful success with this, Barbara wrote a book called Class Act: Sell More Books Through School and Library Author Appearances , with the aim of inspiring other authors to connect directly with their audiences and experience the enriching rewards of speaking at libraries and schools. If you cannot see the player on your screen, CLICK HERE to listen to it on the BlogTalkRadio website. I’d love to hear your comments about this info after you’ve listened to the show, so please DO share them below. Lynn Serafinn, MAED, CPCC is a certified, award-winning coach, teacher, marketer, social media expert, radio host, speaker and author of the number one bestseller The 7 Graces of Marketing: How to Heal Humanity and the Planet by Changing the Way We Sell. Her eclectic approach to marketing incorporates her vast professional experience in the music industry and the educational sector along with more than two decades of study and practice of the spirituality of India. In her work as a promotional manager she has produced a long list of bestselling mind-body-spirit authors. She is the founder of Spirit Authors, a site dedicated to providing information on publishing and book promotioin for and about mind-body-spirit authors, both established and aspiring. Passionate about re-establishing our connection with the Earth, Lynn also supports the work of the Transition Town Network in her hometown of Bedford, England. Thank you again, Lynn for having me on your show. I love sharing to help other authors. When I begin writing my book my goal was to get out into the schools which I have been doing for almost 20 years now as an ambassador to guiding eyes for the blind. Now I am able to speak about blindness and guide dogs and my book. I just did a search and found this site with your interview. I am excited. Oh, how God works. I feel blessed to have found both of you. I can be found on Twitter and on Facebook. I have been working with publicist for a couple of weeks and have a few more weeks to go. I bought a package through Authoright and we have been doing okay. 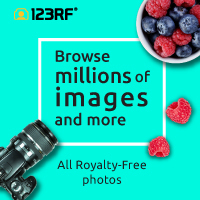 What I recommend them? I’m not sure yet. I’m going to get Barbara’s book. And hope to be in touch with both of you Will look at my Facebook page which has my press release and a little information about my book. If you are interested I will be happy to send you a free PDF file of the book for your review. But in the meantime I look forward to subscribing to your website and learning from you both. I am not a spammer. For some reason I am unable to check the box. Barbara is a lovely person and her work is very genuine. I know you will find it useful. Do stay connected with us. I don’t blog here that often anymore, as I have another website at http://the7gracesofmarketing.com but there will be periodic articles just for authors.